Tapestry weave of dyed wools, plain (tabby) weave ground of dyed wool, fringe of dyed wools along edge of hood and lower edge of tunic, L. 101 cm; W. 89 cm. Egypt, ca. 5th–7th century CE. The Metropolitan Museum of Art, Gift of George D. Pratt, New York, 1927 (27.239). 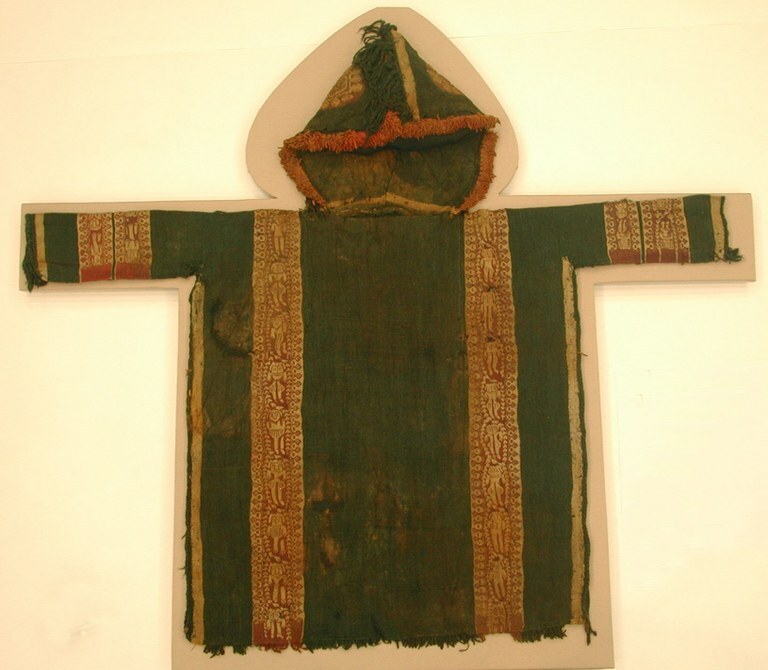 This is a typical hooded tunic intended for a child, on which charms were placed to protect the child from the elements and unseen dangers. The medallions on the hood of the tunic, for instance, are composed of concentric circles, a motif intended to repel the evil eye among other perils.